After the war, the US Army brought von Braun and his associates to America, as part of the ultra-secret Project Paperclip. The US government concealed von Braun’s wartime activities, and promoted an alternate history that sheltered him from prosecution for war crimes. This involved suppressing information about Buchenwald, Dora-Mittelbau, and the Mittelwerk. In the process, the records of the Buchenwald airmen were classified, and they would be inaccessible for decades. 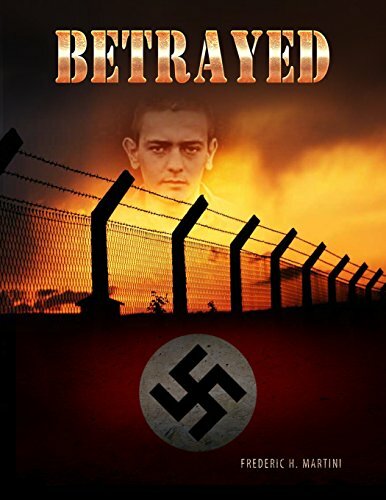 While the government was endorsing a fabricated history for von Braun, it treated the accounts of the Buchenwald airmen as delusions or attempts to obtain undeserved benefits from the VA. The author didn’t intend to write a book about a massive government cover-up. He simply wanted to honor his father, Frederic C. Martini, an American airman who was shot down over occupied France in World War II and then imprisoned in Buchenwald Concentration Camp. Over seven years of research, an even darker picture emerged: that an unconstrained military intelligence operation disrupted the lives of American ex-POWs.